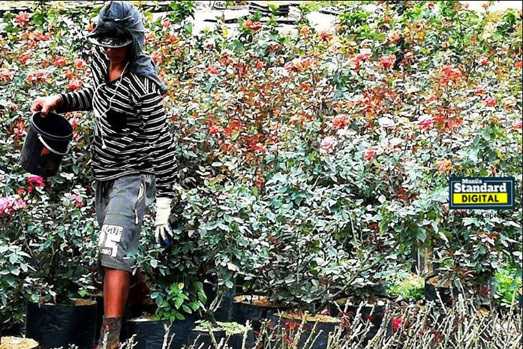 A flower farmer in Bahong, La Trinidad goes about his daily farm chores tending to his rose garden. Bahong, La Trinidad is unscathed by the El Niño phenomenon while other parts of the country are hit hard with the dry spells that come with the weather phenomenon. (Below) Sunflowers bloom at the Ayala Triangle Gardens in Makati City, welcoming the start of the summer season with their bright yellow colors.